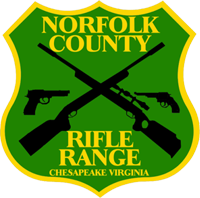 NCRR runs a tactical shotgun match on the 1st and 3rd Saturdays of each month. Shooters should expect to shoot moving targets, shoot on the move, and shoot prone. There are multiple stages of mixed target types. Expect to expend about 25 rounds per stage. Cost: $20 match fee. NCRR club members receive a $5 discount. Click on this link to locate and register for the next match. Periodically, NCRR will run a “monster” tac-shotgun match consisting of more than five stages. Monster matches and match fees will be announced once scheduled. Anyone may participate. Juniors must have a parent/guardian accompany them during the entire match. Note: You are required to sign a waiver to participate. Shotgun: 12 or 20 gauge. At least 125 rounds of shot shells: nothing larger than 7 ½ shot, and not traveling faster than 1350 feet per second. ABSOLUTELY NO SLUGS OR BUCKSHOT ALLOWED. Bring extra ammo in case of a re-shoot. Ammo carriers for at least 25 rounds. Certain special event matches will require additional equipment. See match announcements for more info. Recommended: Hat, sun block, bug spray, water. Divisions: Limited, Tac-Ops, and Open. Email the match director if you have questions about your gun’s class. Setup / Tear-Down Help: Setup takes place Saturday morning at 7:00 am. Shooters are encouraged to come out and help with setup. Tear-down begins after the last shooter completes the last course of fire. Shooters are requested to stay and help tear down.